If you love R&B, then this is the perfect show for you: the V103 Summer Block Party at Huntington Bank Pavilion at Northerly Island!! The second night of the speciality showcase festival on Sunday 15th July 2018 includes performances from Ludacris, Boyz II Men, Kenny Babyface Edmonds, Brandy & Kevin Ross!! Don’t miss it – get your tickets to the V103 Summer Block Party NOW while they last!! The V103 Summer Block Party has, over the four years it has been running, provided a platform for both new and established artists to perform on the same bill to an audience specifically there for the genre. Headliner for the Sunday 15th July event is rapper and actor Ludacris. Starting to rap age 9 and joining his first rap group age 12, Ludacris worked as a DJ on radio stations for a while under the name "Chris Lova Lova”. His first release,”Incognegro,” established his fast and comedic style, which was unusual at the time, and gave rise to his stage name due to his “ludicrous” alter ego. In 2000, he released his first major label album, “Back for the First Time," which hit the top 5 on the Billboard 200! Ludacris will be performing with songs from his most recent album, “Ludaversal,” as well as all the hits you know and love – and maybe some surprises too, as the rapper has confirmed work on his upcoming 9th studio album!! 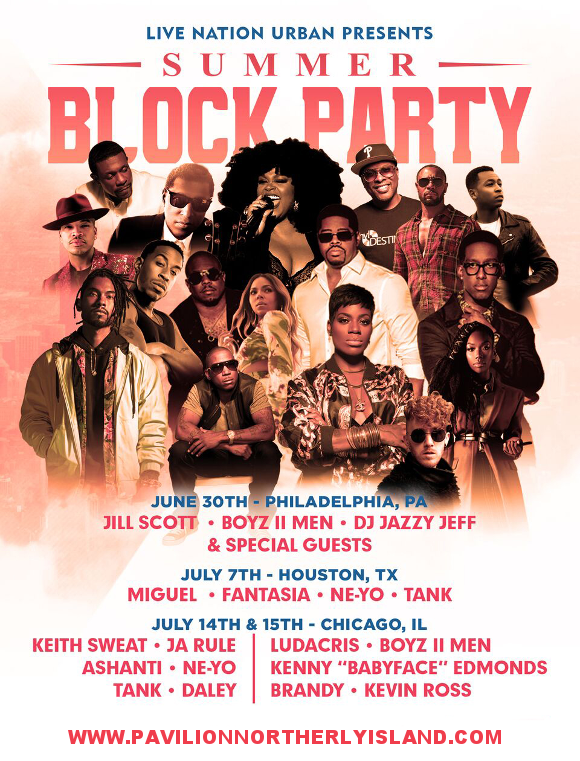 Don’t miss out on your chance to be a part of it all – get your tickets to the V103 Summer Block Party to see Ludacris and more LIVE! !